It was the Banangie’s smell that seduced me at the dispensary and made me pick it out of a lineup of potential flavors. Citrus notes from the Tangie come through first, followed by creamy sweetness from the Banana Kush. The combination of aromas reminds me gummy bears – sweet, fruity deliciousness. 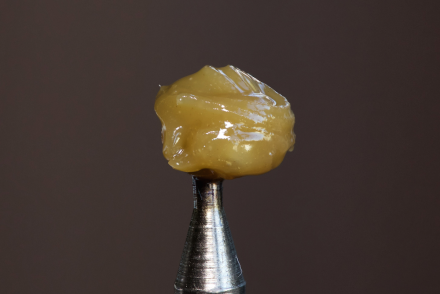 The Banangie is a nice stable shatter that’s slightly malleable with just a little heat from your fingers, making it easy to dab or pull/roll into a snake for twax joints. 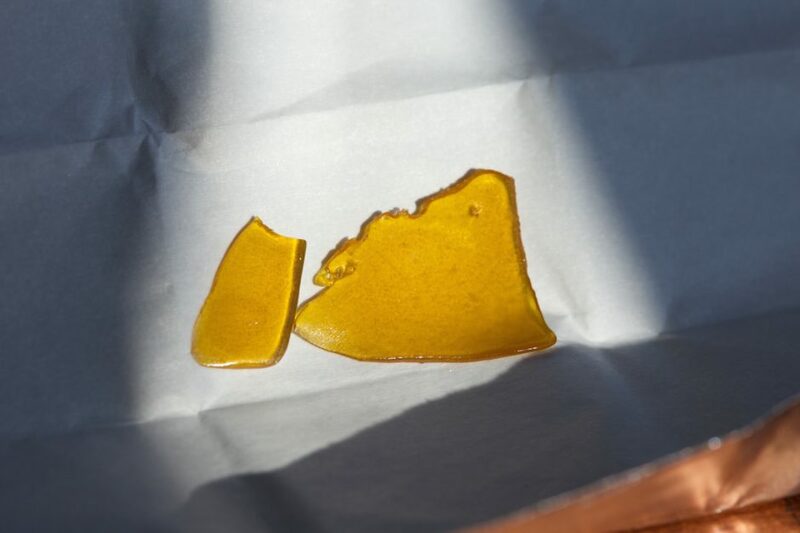 There’s no visible debris or particulates in the beautiful golden shatter. 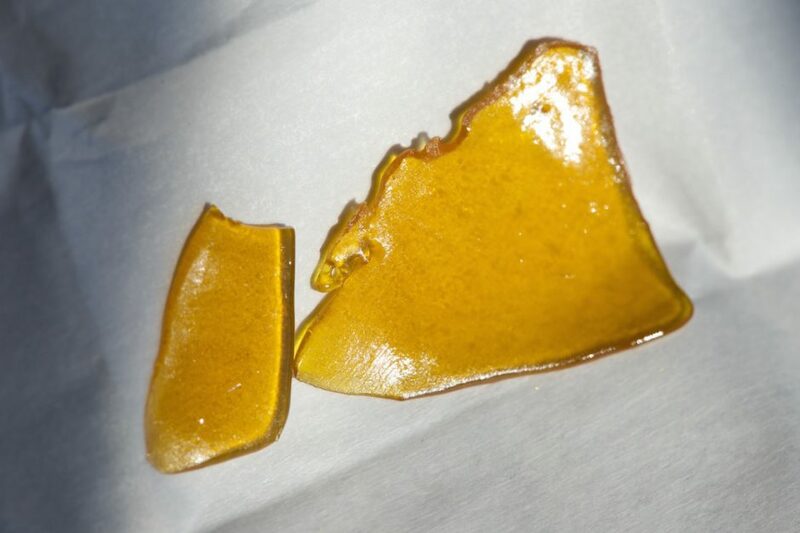 I had high expectations for this shatter after salivating over the smell. 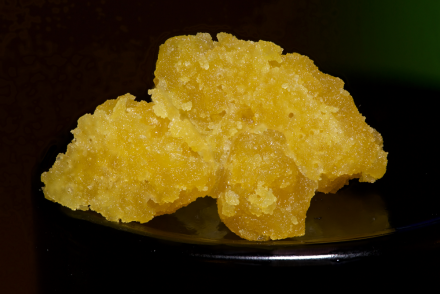 The hit starts really nice as the extract burns clean off the nail, and feels smooth on the palate and throat. While the hit is clean, not much of the smell comes through on the flavor. Only faint hints of sweet citrus coated my lips, leaving me wishing for more. 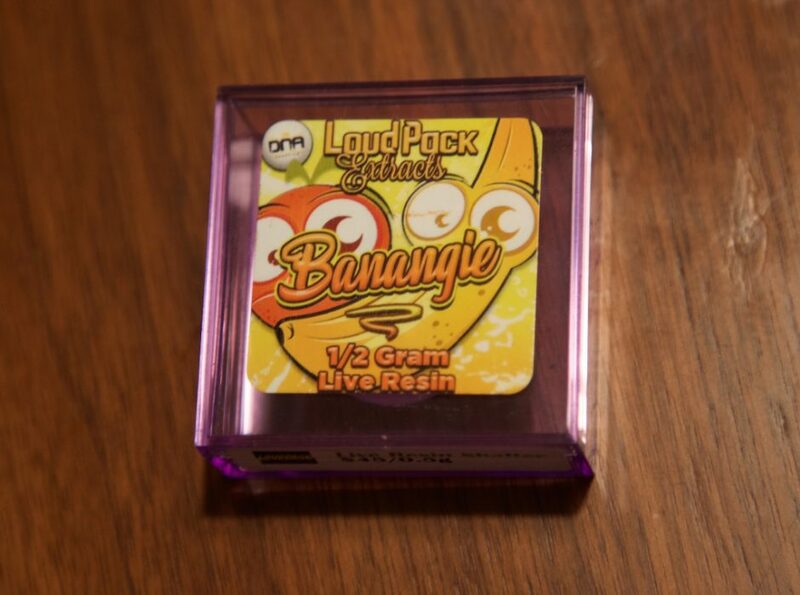 The Banangie live resin is one of those cases where an extract smells great, smokes clean and smooth, but ultimately lacks defined flavors.